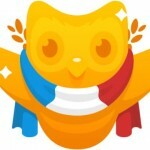 This entry was posted in language guru, must know and tagged Duolingo, language, language app, language learning, languages on September 30, 2014 by Clare Hopping . There is no doubt that language-learning apps are a great, convenient way to learn a new language. However, fluent language learning requires much more than a mobile app can offer.